As More K-Dramas Film On Foreign Sets, Will Fans Follow? Since the Hallyu or Korean Wave first brought Korean television dramas to foreign audiences in the 1990s, fans have paid homage to their favorites by visiting filming locations throughout Korea. Given the sets of some recent productions, such drama tours might also involve stops in other countries. Two 2018-2019 k-dramas—Memories of Alhambra and Encounter—are partly set in countries other than Korea and international k-drama scenes is a trend viewers can expect to see more of. Memories of Alhambra is a mystery drama about an augmented reality game set largely in Granada, with more filming taking place in Budapest, Hungary and Slovenia. The drama stars Hyun Bin and Park Shin Hye. Hyun Bin plays a gamer CEO in pursuit of an AR game that’s darker and more dangerous than he imagines. Park Shin Hye plays a part-time tour guide who seems unaware the game exists or how it might affect her adopted city. Also set outside Korea are the opening episodes of the romantic drama Encounter, starring Park Bo Gum and Song Hye Kyo. When the drama opens in Cuba, Park plays a free-wheeling photographer and Song, a hotel CEO, taking a welcome break from the public eye. Lush camera work rapturously captures the sun-washed island as it becomes a rendezvous for the mismatched lovers. To survive the inevitable conflicts they face, Park and Song’s characters will summon memories of their romantic days in Cuba. These dramas were not the first to be partially set in a country other than Korea, even if they so lavishly indulge in the visual possibilities. 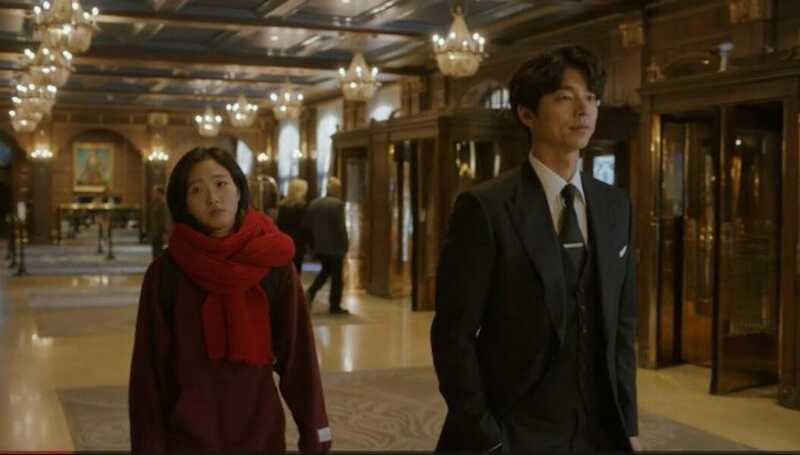 In 2017, the fantasy drama Goblin, starring Gong Yoo and Kim Go Eun, filmed scenes in Canada. The 2016 drama, Descendants of the Sun, was filmed in Greece, to provide a set for Song Joong Ki’s military camp. 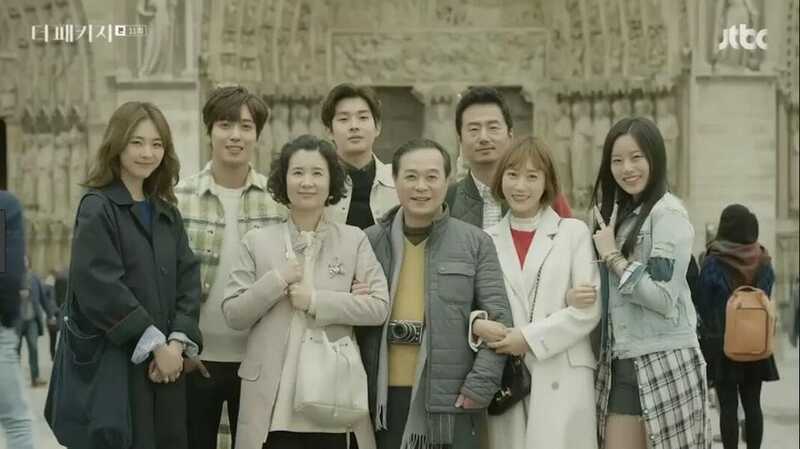 The same year, The Package, starring CNBlue’s Jung Yong Hwa and actress Lee Heon Yee, was filmed in France with a few episodes set in Mont-Saint-Michel. In this drama, Lee plays a tour guide leading a bus of Korean tourists around France, making it easy to see the drama as a romantic travelogue. While dramas set in other countries may be a developing trend, so far filming at foreign locations is mostly limited to blockbusters. The last decade has seen a major shift in the production of Korean dramas. No longer mostly produced by the three major South Korean television stations, KBS, MBC and SBS, today many dramas are the work of independent production companies. The market for sales has also expanded. tvN became a popular cable network by producing programming set abroad, including the successful reality series, Grandpa Over Flowers (Better Late Than Never), with the first season filmed in Paris, Strasbourg, Bern and Lucerne. The reality show inspired Chinese, American and Dutch versions. “tvN became the most successful and popular channel in Korea,” said Jung. With more options for funding and increased foreign investment, dramas are likely to have bigger budgets and film in more international locations. How international fans respond in terms of tourism remains to be seen. The founders of the site Korean Dramaland, which lists filming locations, say that the number of countries featured per year has remained relatively stable since the early 2000s, although there has recently been a slight increase. A trend they have noticed is what they identify as “screen or media tourism,” that is tourism targeted by television series or films. One clue can be seen in the end credits, says co-founder Michelle Tan. For example, the 2004 k-drama Lovers in Paris only mentioned administrative jurisdictions of prefectures and cities in France among the usual mentions in the end credits, which hints to production companies doing the outreach. But recent dramas feature the logo of the country’s tourism organization prominently in their end credits, which hints to that particular tourism organization being actively engaged. K-drama production teams naturally cater their series to domestic audiences, which is also what the tourism organizations buy into. According to the site founders, international k-drama fans are not necessarily interested in filming locations outside South Korea. “This is likely due to the fact that it is not only the filming locations that international fans want to visit, but also how they want to get a sense of the real ‘space’, i.e. have a full sensorial experience of South Korea, where the majority of k-drama scenes are still filmed, and to be at these places in person, and not just ‘visit’ them visually on their screens,” said Schulze. Parts of Goblin were set in Quebec, but much of it was filmed in Korea, at Jumunjin beach, Unhyeongung Palace, and places such as Ihwa mural village. Previous ArticleWhat Makes Yoo Ah In A Star To Take Note Of?